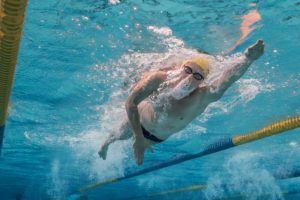 The 2019 Pac-12 Men’s Championships kicked off tonight in Federal Way with the 200 medley relay and 800 free relay, but some swimmers got in on some time trial action ahead of their individual events. 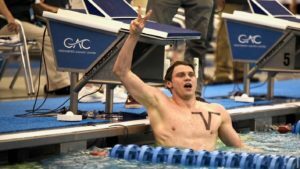 A few swimmers hit times that are batter than, or close to, the estimated NCAA invite times for 2019. 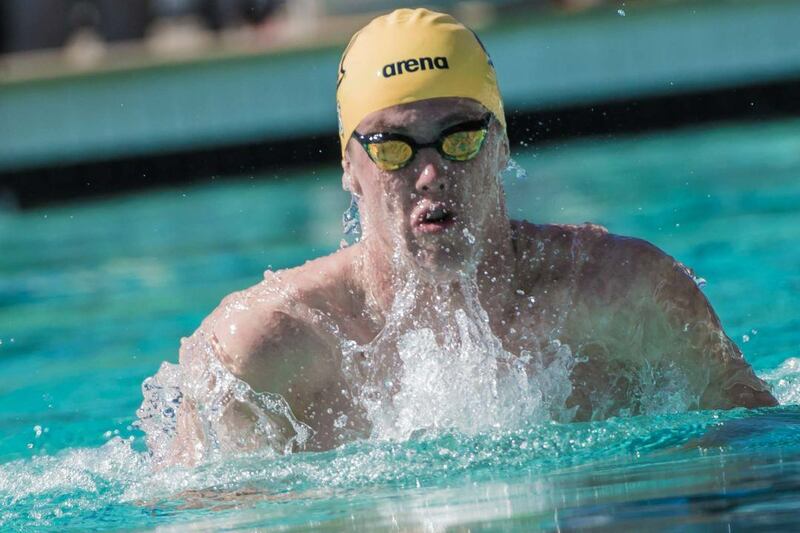 Cal’s Karl Arvidsson earned an NCAA invite in the 200 breast. Arvidsson made a big drop of over 2 seconds, clearing the NCAA ‘A’ standard in 1:52.80. Stanford freshman Daniel Roy led at the 100, 53.92 to 54.36, but Arvidsson was able to run Roy down on the final 50. Roy hit the wall 2nd in 1:53.21, which is a second under the estimated invite time (1:54.28). Arvidsson’s time now ranks him #8 in Cal history. 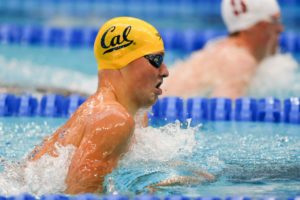 The fastest man on the Cal top 10 is Josh Prenot, who was the NCAA runner-up in this event in 2016 and the American Record holder in long course. Defending Pac-12 Champion Andrew Seliskar is #2 on that list after finishing as the runner-up in the event at last season’s NCAAs. Stanford’s Hank Poppe swam a lifetime best 52.19 to get half a second under the estimated invite time in the 100 breast (52.62). Cal’s Carson Sand was also under the mark in 52.53. Patrick Conaton of Stanford was just a couple of tenths shy of the estimated qualifying time in the 200 back (1:41.01), clocking in at 1:41.59. However, he’s already been faster this season with a 1:41.29 in December. Cal’s Nate Biondi knocked about half a second off his lifetime best in the 50 free with a 19.47. That’s about a tenth shy of the estimated invite (19.35). 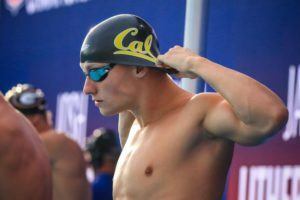 So great to see two Cal Bear legacy swimmers crush it in their TT’s. Go Karl! Go Nate! And a nice early taper drop for Nate!